We found a stunning deal on a killer graphics card, and it won’t even force you to mess around with checkout codes or mail-in rebates. 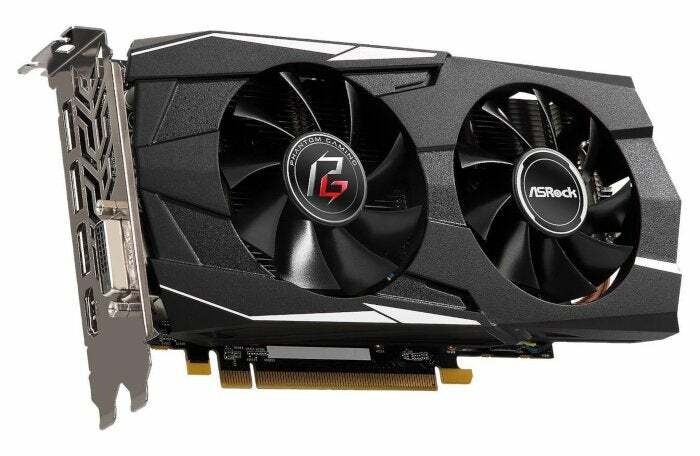 The ASRock Phantom Gaming D Radeon RX 570 is only $130Remove non-product link at Newegg until Friday, and you’ll get two free games from AMD’s Raise the Game bundle with it. RX 570 graphics cards usually cost around $170. The Radeon RX 570 delivers a superb 1080p gaming experience, hitting 60 frames per second with most settings on High or even Ultra depending on how demanding the game’s graphics are. This particular card has a slightly higher boost clock at 1,293MHz than the standard 1,244MHz. ASRock made this a dual fan card with double ball bearings that supposedly reduce friction and let the fan run smoother. On top of the card, you get your choice of two free games from Resident Evil 2, Devil May Cry 5, and The Division 2. All three have yet to be released, with Resident Evil 2 rolling out January 25 and the other two set for a March release. Before you can redeem thee two games you’ll need your new graphics card installed and running.